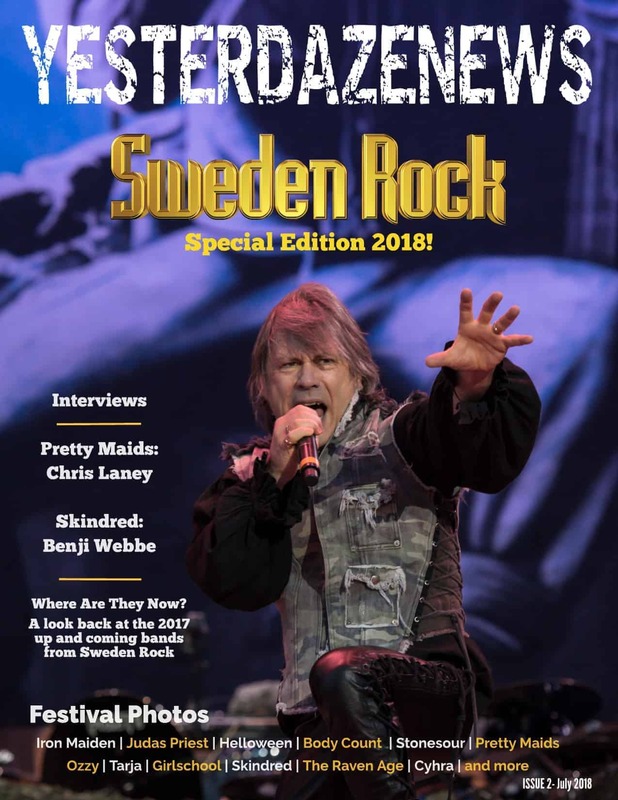 YesterdazeNews Magazine Print Issue 3, Octobter 2018. Full color with glossy finish. Feature: KISW 99.9 “The Rock” Pain In The Grass 2018. Full coverage of this years festival and festival photos. Slayer, Lamb of God, Anthrax, Testament, Napalm Death, Alice in Chains, The Cult, Stone Temple Pilots, Bush, BONES, Walking Papers, Starbenders, and Bruiser Brody. 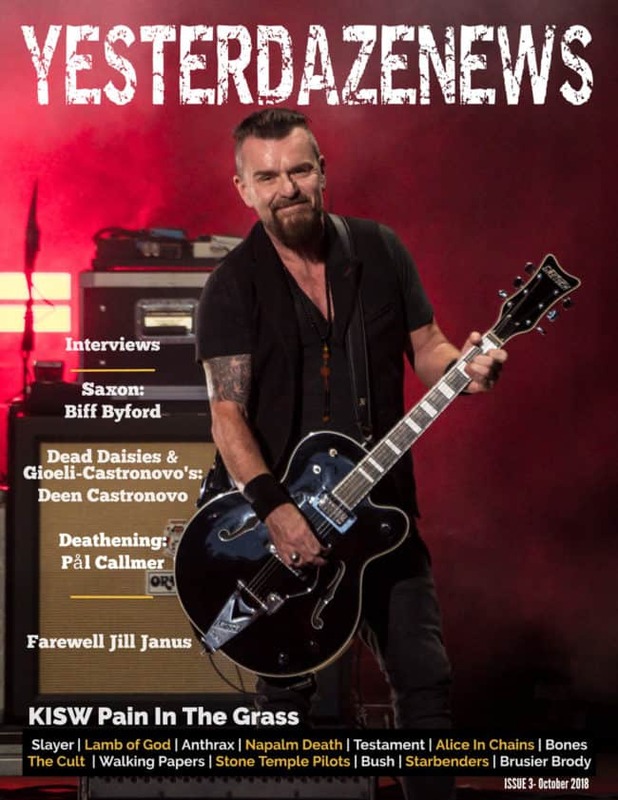 Interviews with Saxon’s Biff Byford, Dead Daisies and Gioeli-Castronovo’s Deen Castronovo and Deathening’s Pål Callmer. Also in this issue: Bands To Discover, Farewell to Jill Janus, Geargasm with Hemlock’s James Gelber and a Thank You to Slayer! In The Studio with Cyhra, Layne Staley Tribute. 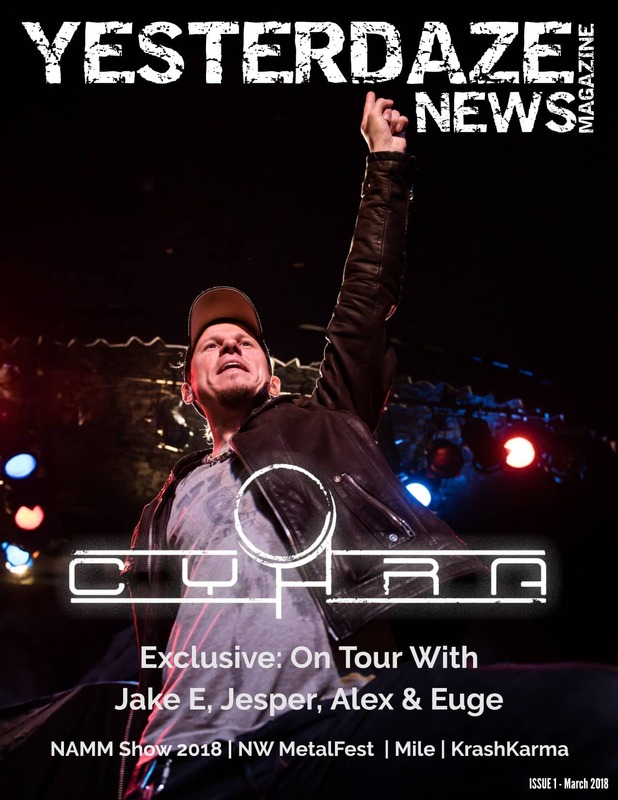 Live Concert photos: Rise Against, Foreigner, Whitesnake, Geoff Tate, Parkway Drive, August Burns Red, Polaris, Andrew W.K. Album reviews: Deathening, Dark Sarah, Dynazty, Terminal Function, Milkmen and Northward. YesterdazeNews Magazine Print Issue 3, Octobter 2018. Full color 8.5 in x 11 in pages with glossy finish.